Many people who haven’t experienced chiropractic care before have heard differing ideas about what it involves. In simple terms, chiropractic doesn’t cure or heal anything. How it helps you is by removing interference from the body’s master system, which is made up of the brain and nervous system and controls every other function. 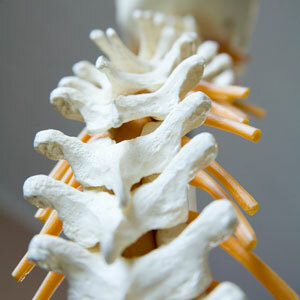 Your spine protects the spinal cord and nerves. If it shifts out of place, nerves are irritated, which impedes the communication between the brain and body and results in stress on the body. At Family Chiropractic, all treatments are tailored to the individual based on their health needs, goals, desires and the results of the testing performed at the first visit. Rest assured that Dr. Senz has worked with a variety of conditions, such as back and neck pain, carpal tunnel syndrome, sciatica, migraines, digestive issues, allergies, anxiety, weight loss, head trauma, women’s health issues and lifestyle modification. Dr. Senz uses techniques that are corrective, safe and gentle. If you feel unsure of what to expect, know that we’ll walk you through exactly what you can expect before getting started. Find out more by contacting our Painesville practice today! We offer a new patient special for $57 (a $325 value)​​​, which includes a full health history, consultation, complete health examination, all necessary X-rays and a report of findings. *Offer excludes: workers’ comp, personal injury, Medicare and Medicaid. We do not participate with workers’ comp, Medicare, and Medicaid.